UMORIE® Quick Charge 3.0 Series is made to make work easier. UMORIE® Quick Charge uses Qualcomm 3.0 Technology which is common among patented companies. In fact, more and more mobile phone companies have started producing phones which support the use of this quick charge technology as it is the easiest solution for their fast-moving users. In this sophisticated and fast-paced world, humans are in need of swift solutions. Therefore, UMORIE® Malaysia does not want to be left behind as it aspires to be the pioneer in quick charge technology to meet the needs of Malaysians. Quick Charge technology is a fast charging technology for mobile devices such as mobile phones, tablets, power banks, and notebooks. 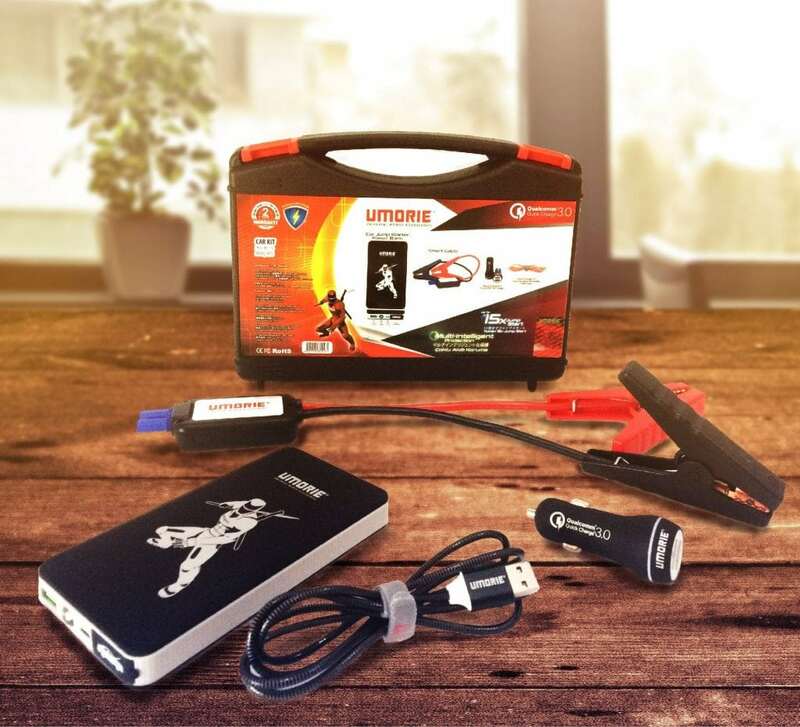 The use of quick charge technology in these equipments requires the manufacturers integrating Qualcomm chip to monitor the amount of power transitions into their mobile devices. This is due to the fact that large electric current transfers can damage phones and cause them to become dysfunctional immediately. But with Qualcomm Quick Charge 3.0, it will ensure that the distribution of electrical current into the battery storage is done safely without affecting other equipments in the phone. Let’s say, you are visiting a store selling phone accessories. Have a look at the USB cable. On the label, it is written that it is for fast charging so you are interested and then make a purchase. At home, you insert the fast charging USB cable into a plug which does not have a Qualcomm chip inside. The first time you charge, it becomes fast enough. After that, you use it to charge your power bank. After a while, you unplug the cable and connect it to the power bank to use it on your phone. For a couple of days, you enjoy the new cable which can charge your phone quickly. Then you start noticing that your phone gets hot and the phone’s UI system gets messed up. If you are aware of these earlier, these problems are due to the USB cable which supports fast current transition but does not use technology like Qualcomm Quick Charge 3.0. Quick Charge technology should optimise operations and be cost-effective for long term usage. Apparently, this is not the case now as your phone only uses a fast charging method with a plug which does not have Qualcomm processing chip; which ensures good electrical current distribution. 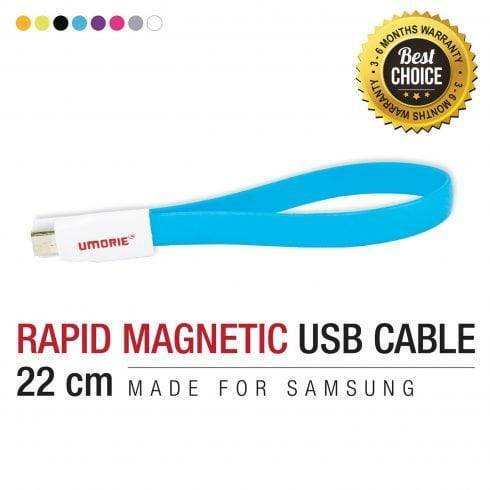 UMORIE® is a product manufacturer which operates quick charging technology in Malaysia. The products we sell do meet safety features and have SIRIM certification. UMORIE® Malaysia brings Qualcomm Quick Charge technology to the devices we market. 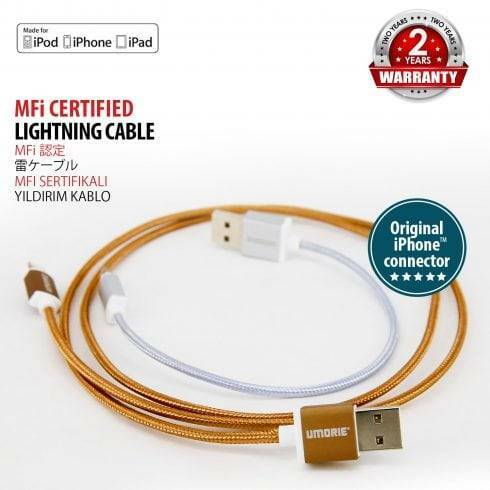 It includes quick charging adapter, quick charging car jumper with power bank, and MFI Lightning USB cable for iPhones, iPad New Generation which use Type C USB. The safety in using our most advanced product is our top priority. Especially when we are the first Malaysian company to issue Quick Charger 3.0. No doubt, a lot of strict rules are applied to ensure our company’s product distributions are in good condition, safe, and ready to use. You do not have to worry about your telecommunication equipment getting any damage due to this quick charging method. In the previous Quick Charge 2.0 technology, it targeted the use of quick charging technology only on certain phone brands. If you are still using Quick Charge 2.0, you will need to set the amount of voltage on the quick charging adapter manually. But for Version 3.0 with a snapdragon chip which is included in the adapter, it is able to measure the electric current required by the phone automatically apart from being fast and secure. You can now fully charge a cellphone within only half an hour. If a regular phone is used, it will not be harmful at all. That’s the advantage of this quick charge 3.0 technology, it can now be used by all smart devices. It is known that a lot of phone companies have manufactured smartphones which support Quick Charge 3.0. For phone user generations earlier than the year of 2016, they need a fast solution when it comes to charging their phone battery. The demand is just as high considering the fact that fast charging technology is essential to all smartphone users. To date, we have around 81 existing outlets selling our products. UMORIE® products are also available in online shopping sites like 11street, Lazada, and Ebay. The demands for our products are increasingly high due to some important aspects such as quality, durability, guarantee, safety, and affordable prices. Most of our products are rated 5 stars by our online customers. Picture yourself buying the product at a store which sells equipment like this. The seller offers you a 1-3 months warranty. The warranty itself strongly indicates the product’s quality and proneness to damage. Worse off, you can only use the product up to 3 months only. After the warranty expires, the product is now prone to damage. In the end, it does not bring any value to your purchase. Compared to our products, they are high in quality, durable, and protected by product warranties up to 2 years. The price of UMORIE® Quick Charge Qualcomm 3.0 has a special place in our customers’ heart. Usually, it is very costly to purchase a complete set of premium products. An example would be one of our competitors with their factories and companies operating from USA. Their products share an uncanny resemblance in terms of the features and functions with our products. However, as they are imported products, the price is quite expensive. 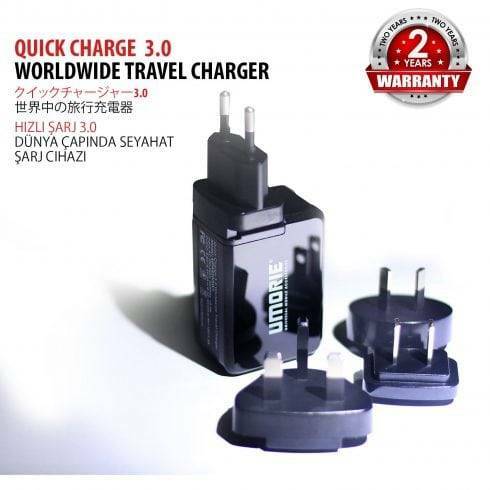 Their Quick Charge Travel Adapter 3.0 is sold at RM159 as compared to UMORIE® products of only RM129. Another significant difference is that they produce only one type of plug, which is the Malaysian 3 pins plug. Compared to our product, Quick Charge World Wide Travel Adapter, it has a portable plug head that can be changed, depending on which country you are traveling to. We have already shared with you the advantages of our fast charger operated by the Qualcomm chip 3.0 which is accepted widely. Besides being widely used in Malaysia today, our products have also penetrated the international market and are well received in the Middle East and several European countries. This is a business opportunity that should not be missed by all retailers and companies who are interested in distributing UMORIE® Malaysia quick charge products. Inevitably, a quick charger is a must have product for everyone who has a smartphone. For companies and individuals who are interested in distributing our products in your business area, please click on Contact Us Here. For customers who are interested in purchasing Quick Charge 3.0 through us, please buy from UMORIE® Online Store.